Don’t want to cook your playdough on the stove? Use a microwave! Most playdough recipes, such as cooked playdough recipe, uses the stove, but the microwave can be a good alternative. Mix all of the ingredients, except for the food color. Microwave it for about one minute and stir. Microwave for about 30 more seconds. Keep repeating until the playdough is dough-ish. 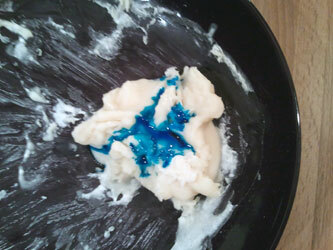 Knead the playdough and add the food coloring. 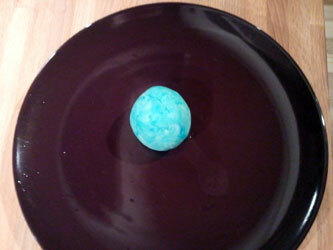 The nuked playdough is finished! Microwaving the playdough is a quick, mess free and simple way to do it. It’s a playdough recipe just as good as any. If you have a microwave, you should try it. If you’re like me, some extra instructions never could hurt. 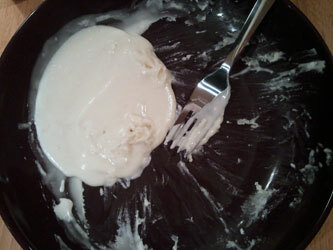 I’ve laid it out quite clearly below, hopefully you’ll be able to follow, because even I managed this playdough recipe. We begin with the most important part, all the ingredients. 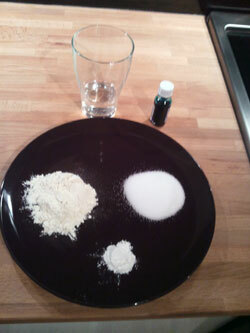 We need some flour, salt, water, oil, cream of tartar and food coloring. The oil is already added to the water. We place everything but the food coloring in a bowl. Like on the image below. Then we start stiring. 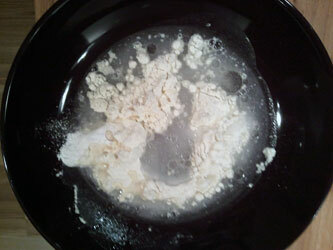 When it’s all mixed, place it in the microwave for about 1 minute. After the first run in the microwave it might look like this. Stir and let it go for another 30 seconds. My batch came out a bit too sticky after the second run, so I had to let it ride for about 20 seconds more. After the third visit to the microwave it came out good. I added the food coloring and started kneading. Your fingers/hands will get colored so use plastic gloves if that’s a problem for you. 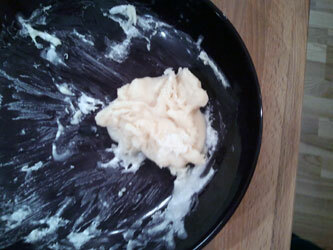 When the kneading is done, the finished microwave playdough looks like this. Just as good as any playdough. Good luck! I’m 11 and made this with my mum. it was really good but there was loads of it! Love the idea, but curious- why can I not add the food coloring in the beginning? Does it not microwave well or something?